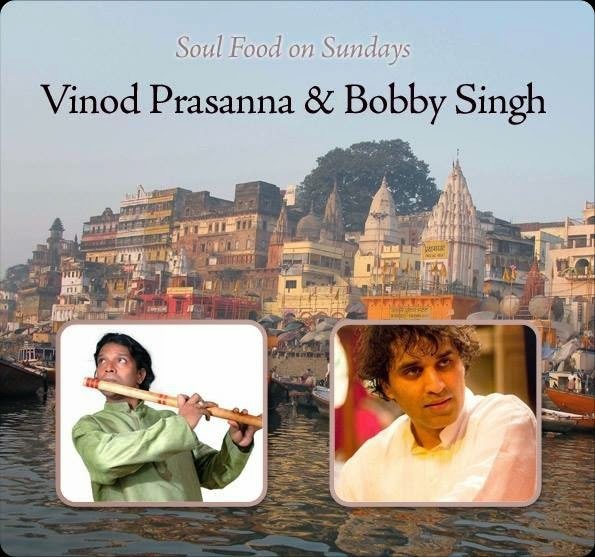 It gives me great pleasure to invite you to an evening of North Indian Classical music featuring Vinod Prassana on Bansuri (Bamboo Flute) and Bobby Singh on Tabla. Vinod belongs to a great family lineage of Bansuri players from the holy city of Benares in India. He currently resides in Melbourne and tours all over the world performing and teaching the intricacies of Indian music. This is a great opportunity to enjoy this beautiful music in a intimate setting similar to the traditional Baithak (Musical soirée) in India. We will be presenting this concert at a wonderful new space in Crows Nest called Tian He Tea House, As seating is limited to only 35 people please reply to this email if you want to make a booking with how many tickets you require. Please note turning up on the day does not guarantee a space so please book in advance. We look forward to your presence.